Frosty winds and dark nights have arrived, and with them comes the instinct to slink home at 5pm and sit under a blanket with a hot beverage. But what about those evenings when you have to meet a client, or need to socialise with some colleagues after a long day of Skyping and spreadsheets? At this time of year, there’s no better place to warm up and wind down than in a pub with a glass of mulled cider, in a cosy chair, next to a roaring fire. Here are our picks of Bath and Bristol’s cosiest establishments. 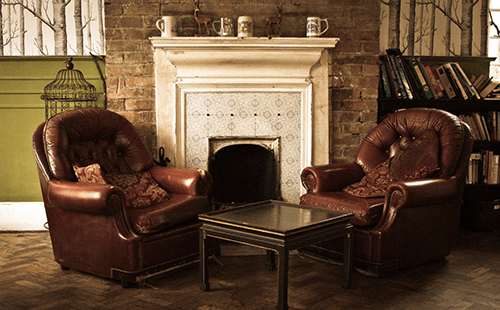 An unrivalled bar selection (over 500 at the last count), large leather sofas and an impressive original fireplace, this historic building in St Nicholas Market dates from 1742 and is one of the more sophisticated bars in the city centre. Choose from one of their premium cocktails, or ask the bar staff for their recommendations from their whisky or rum store; a sure way to impress any visiting clients. 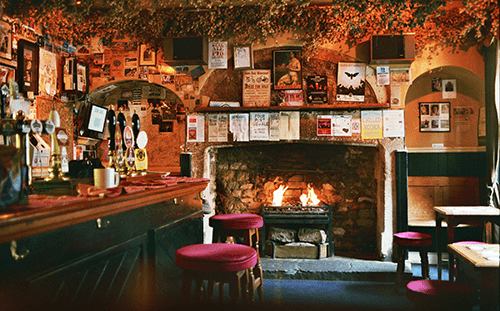 Another of Bristol’s older bars, this harbour-side pub is large but manages to stay cosy due to its winding layout. 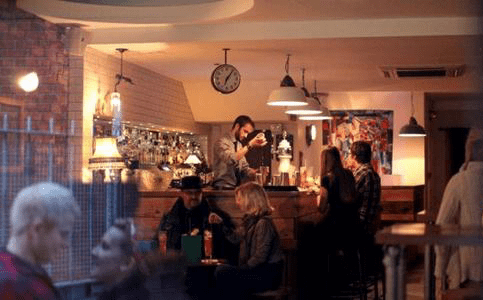 Get ensconced in one of their high-backed leather chairs or in a comfy booth once you’ve managed to choose from their floor-to-ceiling selection of craft beers, ales and ciders. The menu is also reliably good should you and your guests need some winter stodge. 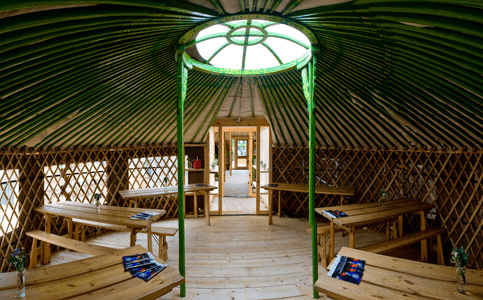 If there’s a more welcoming structure than a yurt, I’ll eat my yak’s wool hat.This quirky venue next to Temple Meads is run by the group behind Eat Drink Bristol, so the food is top quality without being expensive. The cushions, carpets and wood-burning stove also add to the relaxed feel of the place. If you want to put your guests at ease whilst you enjoy a great meal (their steak deal on a Wednesday is particularly good value), this is the place to go. A pleasant local run by the Bristol Beer Factory within a stone’s throw of Temple Meads, this pub manages to squeeze a lot into its modest space. The menu is a mix of familiar favourites such as fish and chips, steaks and sandwiches; the drinks selection is extensive and reasonably priced. 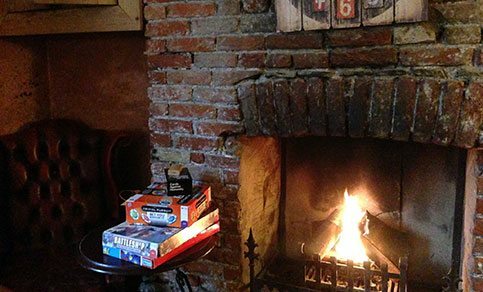 Pull up a pew close to the fireplace, choose a board game, and settle down for the evening – give your clients the best Bristol welcome! 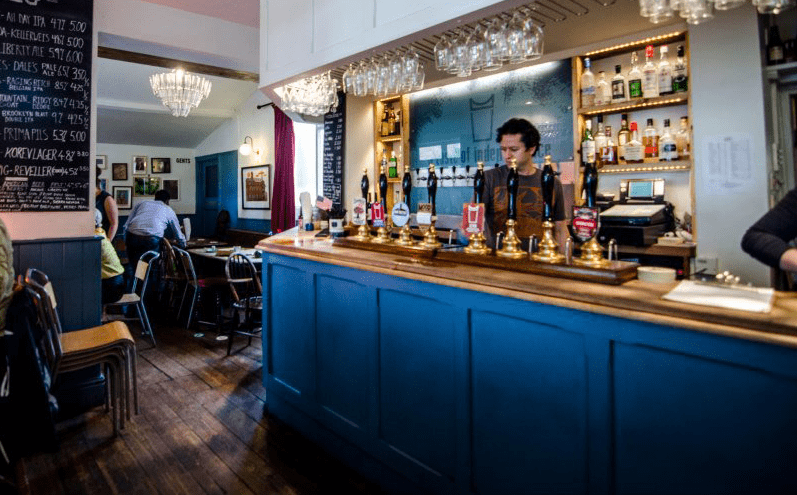 Aiming to a be a little bit different from the average pub, the Star and Dove in Totterdown focuses its menu on historic British recipes, with a décor that reminds you of a refined gentleman’s club. It doesn’t take itself too seriously, though – there are open mic nights, quizzes and some of the best home-made bar snacks in town. If you want a high-end experience for your guests whilst still having the choice of six ales on tap, or 50 bottled beers and ciders, look no further. 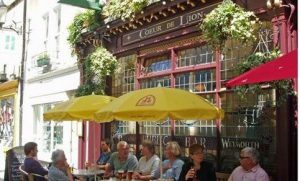 A big favourite with locals, The Lion is well worth a stroll through colourful Cliftonwood for a sturdy burger or scotch egg – best enjoyed by their roaring fire. This is the epitome of a cosy traditional pub and is famed for its roasts too if your guests happen to be staying for the weekend. It may not be as central as some of the other pubs on the list, but this Hotwells pub is always busy for a reason. Pop in with colleagues or clients and find a comfy corner for their jazz night, or for one of their sharing platters – either way it’ll be an evening well spent. This city centre pub and dining room plays on its location next to the Theatre Royal, with an ever-changing pre-theatre menu, along with an extensive list of premium wines, spirits and beers in a sophisticated pub setting. 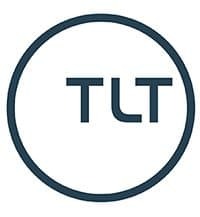 It also does a special eight-course tasting menu on Fridays and Saturday evenings if you want to treat any visiting clients or maybe your team to something extra special. Usually attracting a rugby and tourist crowd due to its proximity to the Recreation Ground (or the Rec), this pub aims to appeal to all, with a fine dining room, a pub quiz, and a variety of board and pub games for customers to use. 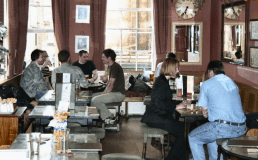 Maybe after giving a client a tour of the city you could pop in for some real ale, a ‘Pulteney Burger’ and a game of shove ha’penny for a proper pub experience. 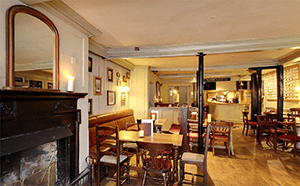 Possibly the most comforting pub in the city centre, The Raven is spread across two floors, both of which offer soft seating and a fine selection of ales from the West Country and beyond. 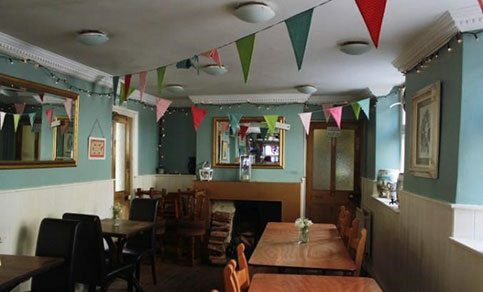 They serve a hearty menu which includes pie and mash, and if you time your visit right you can sit in on a science café, a storytelling circle or an art group. What better way to introduce any visitors to the diverse crowds of Bath? 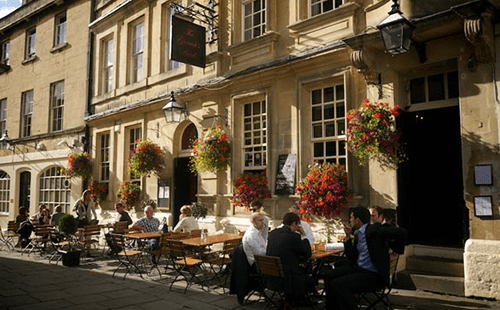 The infamous untameable bar of Bath – this pub is now a co-operative after being bought by the local community, and so it continues to provide the locals with great live music, an extensive choice of real ales, and a warm and friendly atmosphere. Head here for a relaxing evening and experience a more laid-back side of this refined city. 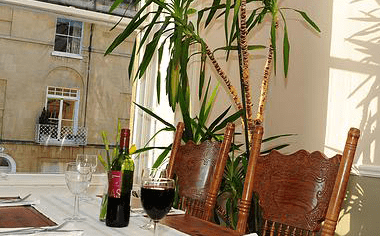 Bath’s smallest gastropub and consistently one of the most highly praised. The King William aspires to be the best in British food in the city, whilst also serving a fine choice of ales, craft beers and wines. If you really want to treat some guests to a sophisticated evening, book a table here before they all get snapped up. 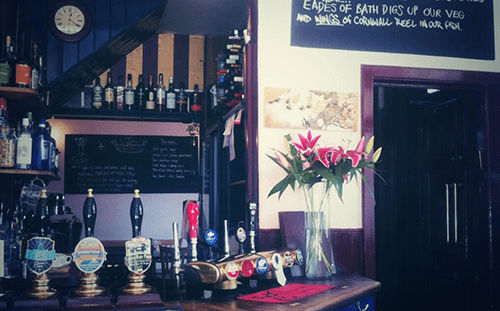 A Bath Ales pub with lots of character and cosy corners – pop in for comfort food such as beef & onion pie or beer battered fish & chips, washed down with one of the house ales. A spot of refuge in the centre of town. 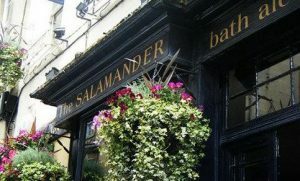 One of Bath’s smallest pubs, but packed to the rafters with character. Their menu is full of rustic pub favourites and due to it being owned by Abbey Ales, there’s always a good selection of beers on tap too. If you can nab a seat, this is one of the cosiest spots in town. Bristol-based Shonette Laffy is a regular blogger on lifestyle and the food scene in the region, check out her blog lifelessorganised.com and follow her on Twitter.